Much has been said about the UCI the last years and the debate continues on Twitter. People say when it comes to greediness, unclear doping-rules and one-sided judgement of riders, the UCI is at the very top. Some people treat issues involving UCI like conspiracy theorists do, I am not in that league. Mind you, I will not speak in the favour of UCI either, because I believe many things need to be clarified, and I believe UCI could benefit by doing so to some matters. I will focus on some aspects I think the UCI could benefit from. I've sent a mail to the UCI and UEC in order for them to clarify some questions I had but I have not received an answer by time this is "in the print". The UCI was founded in 1900 and is the world governing body for cycling. 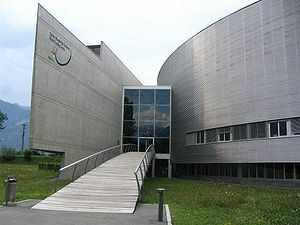 The headquarters is located in Aigle, Switzerland. They provide the debated team points ranking system, issue licences to teams and is supposed to enforce disciplinary rules, like they did towards Bruyneel after the last stage in this year's Tour, where Radioshack used other jerseys than they started the race with. Disciplinary rules also involves doping i.e. how they handle Contador's case now. They are involved with the three Grand Tours, many of the classics and they are trying to expand cycling to the world by their concept UCI Continental Circuits. Obviously dealing with enormous amount of money and having the power they have, the UCI is vulnerable to criticism and need to be professional in every way. To complicate or add further depth to the organisational structure (your choice), national federations form different continental confederations under UCI. An example is L'Union Européene de Cyclisme (UEC) which have their own statutes. For example states article 3 point 1. d) that "The UEC supports the UCi in all aspects of cycling". Article 4, point 3 states that "The members of UEC agree to recognise and safeguard the statutes and regulations of the UCI. They will not establish nor recognise statutes or regulations which are contrary to the statuses or regulations of the UCI or UEC". Looks like that someone has a tight grip there, doesn't it? Back in the day the UCI was founded over some political disagreement involving Great Britain and the ruling organisation back then, the International Cycling Association, was "overthrown". So it is possible to do what the UCI did in 1900 if people for some reason do not agree with the UCI, this violates article 4 point 3 I guess. But of course, times were different back then. In 1965 the UCI created two subsidiary bodies; the Fédération Internationale Amateur de Cyclisme (FIAC) and Fédération Internationale de Cyclisme Professionale (FICP). There is no doubt that cycling need a governing body. Every sport and association will need to be govern, there has to be certain rules and disciplinary action taken if the rules are broken. Fine, so far so good. Who possess the real power in cycling? The UCI and Pat McQuaid? ASO and other race organisers? The pro teams and the Team Managers? For the time being, I find that hard to answer. But I see that there are many chefs, and that can lead to blurry borderlines, frustration and "turf wars" leading the sport in the wrong direction. From my perspective I somehow feel the UCI to want more power, to control more of cycling than they do today. I remember seeing the "turf war" between Hein Verbruggen and Clerc as well as Verbruggen vs. Leblanc some years ago and some of that is still ongoing today. @propulse said on twitter a couple of days ago that UCI should recreate FIAC because many cyclists have trouble finding a pro team to work for. If you see this in comparison to what 39teeth wrote about the future in road cycling, this can actually be a good idea. The Gran Fondos are getting bigger, cycling is on the rise in many countries. FIAC made sure amateurs raced against amateurs while FICP took care of the pros. Is the UCI we see today too big? An organisation which is big moves slowly and might neglect the very base of it's followers namely teams and riders. An organisation which is too big see progress at something disturbing and see other organisations as threats. An organisation which is too big wants more power and holds on to it's power for as long as it can. What kind of leader will member states approve and elect in the future? Maybe an important organisation like the UCI can move forward instead of backward and really step up to the challenges coming. Prudhomme said this some years ago to L'equipe, it is not linked to the UCI but the lesson is the same: "For me, the fundamental problem is one of image. We must get rid of suspicion, that's the most important thing." Next blog post in this series: Funding and election.